This genuine deerskin medicine shield contains a full sized man's breastplate and a full size beaded tomahawk. The shield is 20" in diameter and about 36" long. The breastplate contains real buffalo horn beads, crystal bicone beads, and many turquoise stone nuggets. 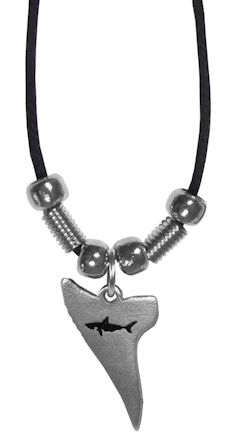 In all there are several hundred beads on this piece. The fringe on the breastplate is a contrasting color to the gold deerskin hide used on the shield. This breastplate is made with long buffalo horn hairpipe beads on the outer rows and short buffalo horn hairpipe beads in the center. This shield also contains many hard to find grouse tail feathers held on with brass cones, and ringneck pheasant feathers on the tomahawk handle. 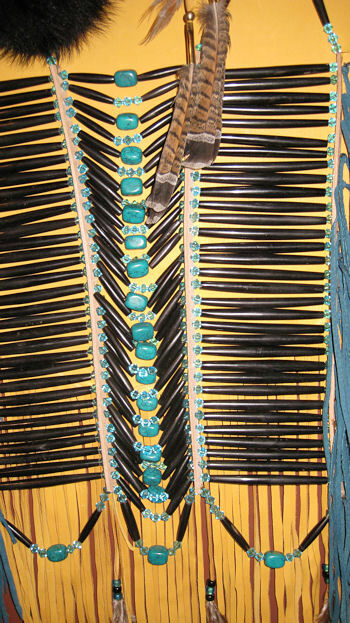 It also has turquoise and black glass crow beads with more pheasant feathers on the fringes of the shield. 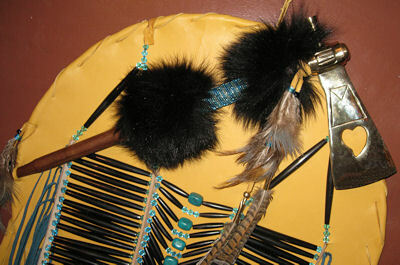 The tomahawk handle is beaded with glass seed beads and has two black fox fur wraps. This shield is hand crafted in the USA. 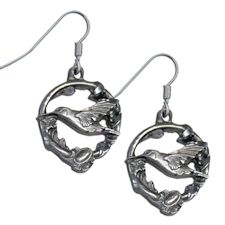 This product was added to our catalog on 07/27/2010.